Erin Benzakein of Floret Flowers came to us in need of a better solution for her ecommerce site. While Floret had amassed a loyal following of customers, her old WooCommerce online shop wasn’t able to handle large spikes of traffic and didn’t fit the needs of her growing business. As this Shopify case study shows, we were able to create a strong and stable ecommerce website that could easily handle all of their excited customers. Erin was in search of a fully-functional ecommerce website that was mobile-friendly and easy for her customers to navigate and that was easy to use on both the front and backend. The ecommerce shop needed to be able to sync with Floret’s inventory management system, their shipping software, and Quickbooks. We sprung into action to provide a solution to Erin’s problem. Our goal for this project was functionality and ease of use. Floret already had beautiful elements on the existing WordPress homepage, so we focused on decluttering and rearranging everything to provide a great shopping experience. “Throughout our time working with Aeolidia, their team was excellent at presenting available options and suggestions for each challenge presented to them. They were fast and responsive and overall really good at communicating with us, which was a refreshing change from so many other outside vendors we’ve worked with in the past. Due to the seasonal nature of their farm business, many of the products that Floret Flowers offers on their website are not always in stock, and when they do release new collections of flowers, seeds, and bulbs, they often sell out extremely quickly. 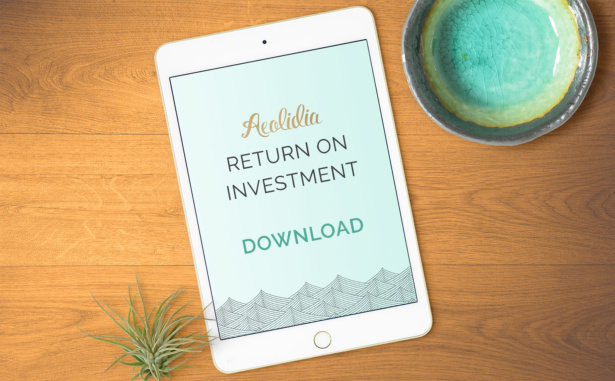 “While working with Aeolidia, we felt like they were truly invested in our longterm success. For example, rather than handing over the keys to the site and moving on to the next project without looking back, Aeolidia included a comprehensive six month check in process and progress report. The information they shared with us after analyzing and assessing the performance of our site was exceptional and truly exemplified top notch customer service. Overall, their new ecommerce site is performing fantastically well. We absolutely love how the site turned out and we are thrilled that it has supported such amazing growth for Floret Flowers. Do you need a more robust, stable ecommerce solution? If you’ve found yourself in a similar situation to where Erin was, struggling with an ecommerce platform that your business has outgrown, contact us. As official Shopify experts, our team has been able to transform many businesses just like Floret Flowers. From building a custom Shopify website for your growing business, to a full brand identity design, product photography, or marketing strategy, we can help! Grab our rate sheet and learn more.